It’s that time of year, folks! Many of you are rolling your grill out of storage and preparing for the first BBQ of the year. 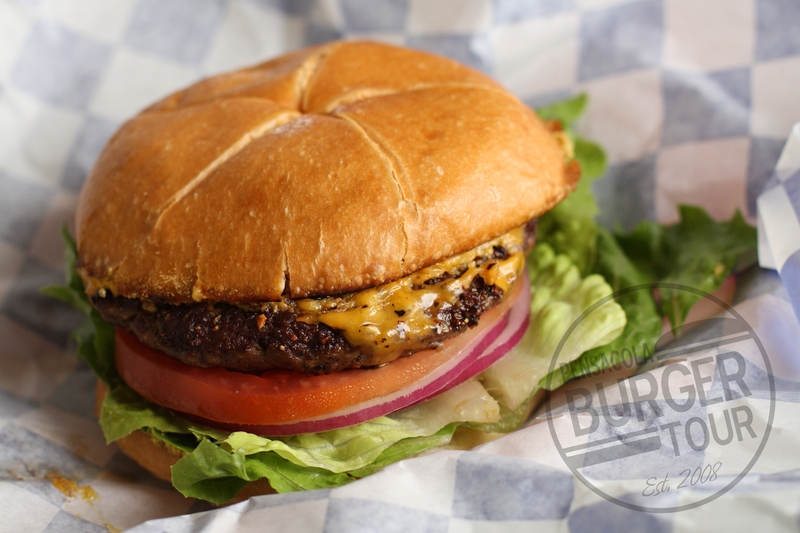 Today we discuss 5 simple rules that you must obey when making the perfect burger. If you ask ten people to describe the perfect burger, you’ll get ten different answers. Some people (weirdos) like their burger well done, others prefer a nice medium rare. Even our own panel of judges is divided; The Yankee hates mayonnaise, the Banker won’t eat tomatoes, The Computer whiz eats his burger “plain” and the Accountant is allergic to onions. We get it, everyone has a slightly different taste. That said, there are some things we all agree on when making the perfect burger. The perfect hamburger should taste like beef. It doesn’t need a Ranch dressing packet, A-1 sauce or even Worcestershire. If you’re adding three eggs and breadcrumbs to your hamburger mixture- you’re making meatloaf, not a hamburger. Our Accountant hit the nail on the head when he said “Fancy sauces are designed to mask the flavor of sub-par meat.” We agree. If you add more than just a few spices to your beef- we assume you’re trying to stretch the mixture or hide something. Buy high quality meat and respect the beef, Son. Much like Rule #2 (Avoid Fancy Buns) don’t be deceived by expensive, hard to pronounce cheeses. Sure, we’ll eat a burger topped with aged Muenster, smoked gouda or gruyere, we’re not picky. Almost all cheese is delicious. That said, there’s just something about a slice of good ol’ American cheese on a hamburger. It has great flavor and seems to melt perfectly on a burger unlike any other cheese. A melted slice of American cheese becomes one with the burger- almost impossible to scrape off. If you really want to step up your game in the cheese department, just add a second slice of American, baby. When you’re putting together the perfect burger, we understand- high quality beef is the top priority. Next you need a great bun. But please, don’t overlook the importance of fresh, flavorful produce. You will absolutely ruin an otherwise great burger by throwing a handful of wilted lettuce and a pitiful slice of tomato on top. Rarely will fresh produce be the star of your dish, but it should complement and enhance the flavors of your burger. Fresh produce doesn’t necessarily make the burger, but bad produce can definitely break the burger. Next time you assemble a burger- Place a crisp piece of iceberg lettuce beneath the patty- it keeps the bottom bun from becoming soggy. If the Burger Tour has taught us anything, it’s that salt and pepper (when used correctly) work together in perfect harmony. Salt and Pepper are a staple in every kitchen for a reason, folks. Salt in particular helps draw out the natural flavor of almost anything; beef, tomatoes, etc. Pepper is the perfect accompaniment to salt. When we said “Respect the Beef” we didn’t mean avoid seasoning entirely. Season accordingly, burger lover. What do you think? Is there a rule we left out? Let us know. If you agree with these rules, please like and share. WILL THE TOUR ROLL IN THE SUMMER OF 2017? It’s been two years since the Pensacola Burger Tour scoured the gulf coast in search of the area’s best burger. Every week we receive new emails, suggestions, and the reviews of faithful burger lovers from Pensacola. So, help us decide; Is a 2017 Burger Tour in order? Where are the new great spots? Where are you getting your favorite burger nowadays? For the 2nd time in a row- Pensacola’s best burger is BLUE! Congratulations, Blue Dot, two-time winner of the Pensacola Burger Tour. In a 6 to 3 decision our judges decided Friday to crown the Blue Dot winner of the 2015 Tour- narrowly beating out an amazing burger from Pot Roast & Pinot. Both burgers are incredible and we encourage you to sample both. At the end of the day the simplicity and consistency of the Blue Dot finished ahead of the creativity and culinary skill behind the Pot Roast burger. So, we’re challenging you, burger lover. Get yourself a Blue Dot. Get yourself a Pot Roast burger. Let us know what you think. And so, with a heavy heart and a full belly our 2015 Pensacola Burger Tour rolls to a stop. Thank you to those faithful followers who made this Tour an incredible success. 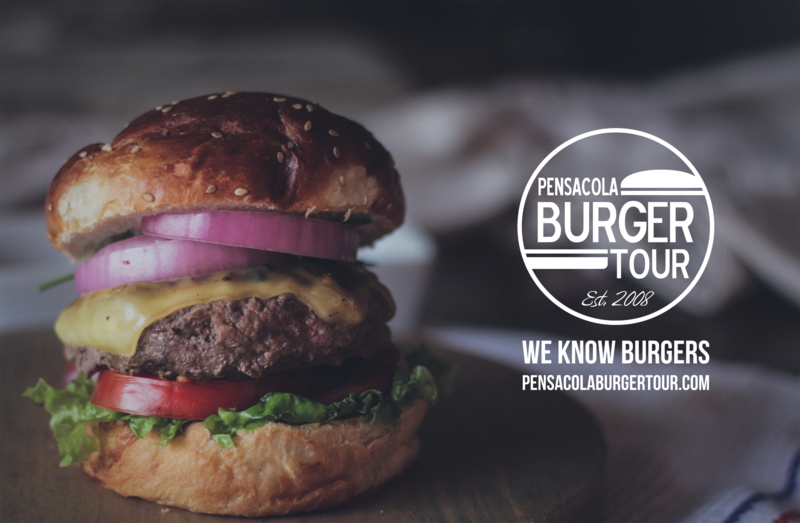 You helped us accomplish exactly what we set out to do when we began the Tour; find the best burger in Pensacola that no one knows about. Two of our finalists this year were burgers that NO ONE on our Panel had eaten before; The Other Place and Pot Roast & Pinot. Congratulations to Pot Roast & Pinot and The Other Place; our runner up and third place burger. © 2019 The Pensacola Burger Tour. All Rights Reserved.